Something’s wrong here — not a cork or punt in sight. Even the conservative and old-fashioned motor oil business realizes packaging matters. So why doesn’t the wine business? 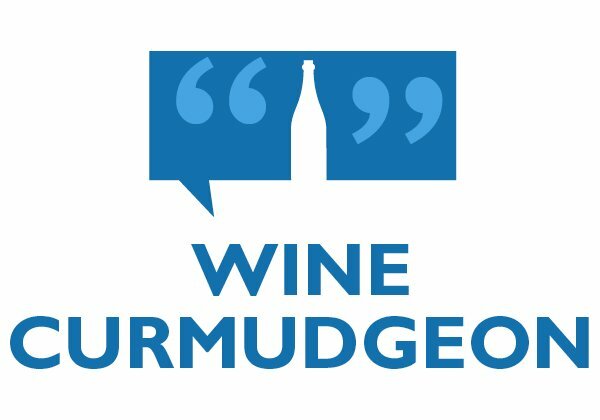 No, it’s not the wine business, which considers screwcaps the spawn of the devil and still thinks chateau wine labels are a big deal. It’s the motor oil business, as described by a long-time senior official at Valvoline. So when Valvoline comes out with a truly innovative product – a five-quart, easy-open, easy pour, ergonomic motor oil bottle, what does that say about the wine business and its outdated and ridiculously stubborn reliance on the 750-ml bottle and its cork closure? Not much. Is it any wonder I worry about the future of the wine business? The genesis for this post came after talking to a friend about wine packaging. He described a trade show seminar where a packaging consultant told the audience that the dizzying array of wine bottles – their shapes, sizes, and closures – were expensive, inefficient, and hurt sales and profits. He couldn’t help them until they decided to get serious about wine packaging. And then I saw a TV ad for the new Valvoline bottle, and I literally shook my head in despair. 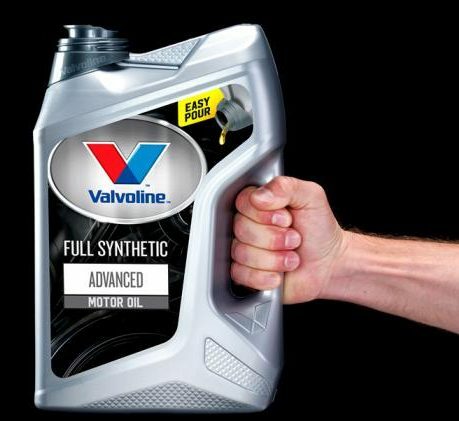 Valvoline wanted a new container that would make changing oil easier and less messy, but that fit on store shelves the way the current container does. In other words, it saw a problem and wanted to fix it to sell more product. By contrast, how many times has anyone in the wine business said opening a wine bottle should be easier? Hardly ever. And how many times has anyone said the wine business should spend money to solve that problem? Even less than hardly ever. The solution to this exists, by the way. 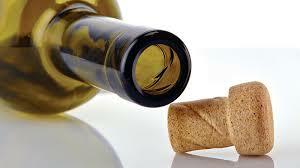 There is a wine equivalent of the new Valvoline bottle – plastic, or PET, bottles. They have a smaller carbon footprint and weigh up to eight times less than glass, are almost unbreakable, use screwcaps, and fit on a shelf like a glass bottle. There was a push to use PET for wine about a decade ago, and you’ll see PET beer bottles, but the wine initiative never got anywhere. Is anyone surprised? • Will canned wine solve all of the wine business’ problems? 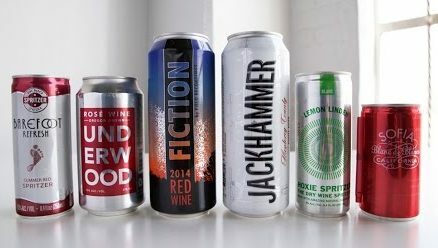 People who are supposed to know these things insist that wine packaging is about to undergo a revolution – specifically, that canned wine is the next big thing and will sooner rather than later compete with bottles as the package of choice. So why the enthusiasm for canned wine? First, because it has grown exponentially over the past couple of years, up 125 percent in the year through the middle of 2016. Second, it’s something that should appeal to the two generations of wine drinkers younger than the Baby Boomers, who grew up on canned soft drinks and juice boxes and who aren’t supposed to be as fussy about bottles as the rest of us. 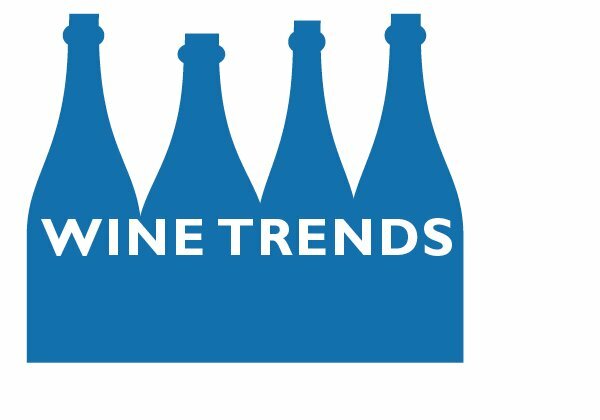 Third, because the people who do trend analysis wouldn’t have anything to write about if they didn’t find a trend, and it isn’t easy to find trends in an industry as old-fashioned as wine. 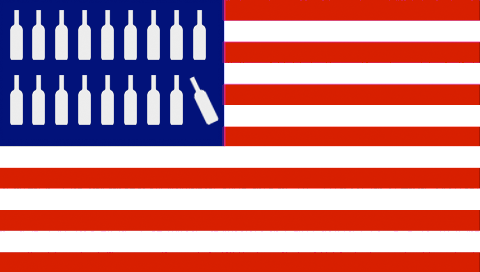 • “After years of packaging innovations, the traditional 750 ml wine bottle is more important to the domestic wine industry than ever.” The number of 750ml bottles sold increased 41 percent from 2010 to 2014, which is the same period that overall wine sales in the U.S., as measured by bottles sold, was up just 11 percent. This is premiumization’s work; who is going to pay $25 for a bottle of wine in can or box? Meanwhile, sales have fallen dramatically for the very cheapest wines, which lend themselves best to cans. • That 125 percent growth was from a very tiny base. All told, canned wine accounted for $6.4 million in a $55 billion business, or about one-tenth of one percent. • Retailers don’t like canned wine. Store shelves are designed to sell 750 ml bottles, and canned wine doesn’t fit on the shelves. 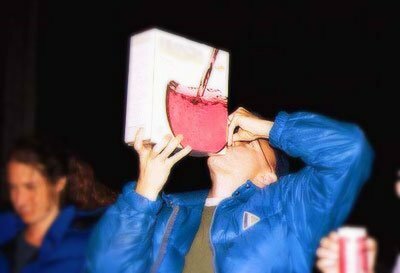 That’s what happened to boxed wine, which was supposed to be the next big thing a decade ago. Retailers could never figure out how to display it, and so they shoved it to the back of the store. • Canned wine hasn’t solved the value/price problem. Much of it is more expensive than bottled wine, since we’re paying for convenience. But the quality of the wine usually isn’t worth the added cost. Much of the canned wine I’ve tasted was junk that would cost $4 or $5 for a 25-ounce bottle, not $5 for a 12-ounce can. Compare this to boxed wine, which has improved in quality and does offer value – and still remains a small part of the market, about three percent. In the end, know that screw caps, which offer as much convenience as a can without any added cost to the consumer, have been around for decades. And they still account for just 20 percent of the market. How are cans going to do better than that?
? Stack those bottles: The Wine Curmudgeon rarely gets to offer advice to big-time financial reporters, but Charles Passy at the MarketWatch website should check out this post about wine packaging. Or this one. Consumers aren’t much interested in wine that comes in containers that aren’t 750-milliliter bottles. That should temper his enthusiasm for something called XO G wines, four 187-milliliter bottles that come stacked on top of each other. He waxes poetic about the packaging, even though there has traditionally been little interest in this kind of bottle. Interestingly, Passy says it doesn’t matter that XO G can best be described as “not horribly offensive,” since wine drinkers will buy the product because the packaging is clever. I wonder: Would he have written that sentence about any other consumer packaged good, advising us to buy not horribly offensive ketchup because the bottle was cute?
? Do grapes matter? A Tennessee craft spirits producer whose motto is “booze for badasses” will expand into wine, so perhaps they should read Friday’s post about craft wine. It’s one thing to buy grain to make whiskey; it’s something completely different to buy grapes from California to make wine in Tennessee (to say nothing of the difference in production techniques). As the line gets blurred between craft products, expect to see more of this happen. How successful these endeavors will be will depend on whether the companies are serious about it, or whether they see it as as nothing more than marketing. In which case they’ll be stuck with a lot of unsold Tennessee chardonnay made with California grapes.
? Lots of green wine: Vinho verde, the cheap and simple and often satisfying Portuguese wine, sold more than one-half million cases in the U.S. last year, an amazing total for a product with no marketing, little brand recognition, and limited distribution. The story doesn’t seem to know why this is happening, though it does make an effort to include premiumization in the explanation even though most vinho verde costs less than $10. That people are buying vinho verde because it isn’t expensive, tastes slightly different from white wine at that price, and is fun to drink has apparently escaped them.
? Don’t we all need a tasting room? Kickstarter is one of the good things the Internet made possible, and I’d say that even if I didn’t raise money for the cheap wine book that way. Consider this: The WinePort portable tasting room for your back yard, devised by Annette Orban of Phoenix. She needs to raise $5,248 by the end of the month, but isn’t very far along despite the idea’s genius (and my $25 pledge). 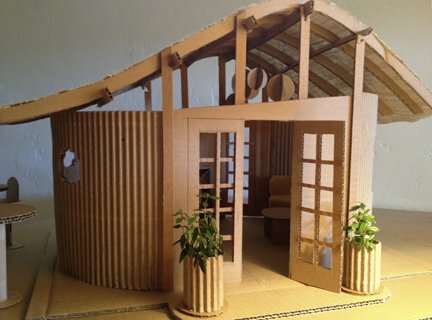 The WinePort measures 200 square feet and is made of recycled materials. Her target audience is wineries, but I don’t see why it wouldn’t work for wine drinkers who live in more hospitable summer climates than mine. Click on the link to pledge; you won’t be charged unless she reaches her goal.
? A toast to Korbel: The California winery’s sparkling rose that is, which was a sweepstakes winner in the 2014 San Francisco Chronicle Wine Competition, one of the most prestigious in the country. The cost? $11, which means it will be showing up a review here sooner rather than later. A $12 rose, from Washington’s Barnard Griffin, was also a sweepstakes winner, though I doubt there is much availability. 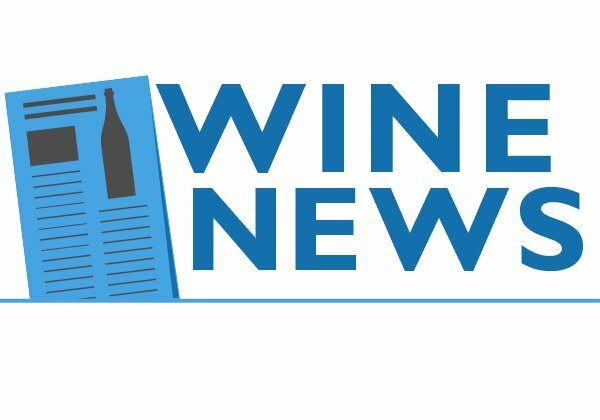 Korbel isn’t always a favorite of the Winestream Media; I wonder if there will be a backlash against it, as there was for Two-buck Chuck when it won double golds at another big-time California competition.
? 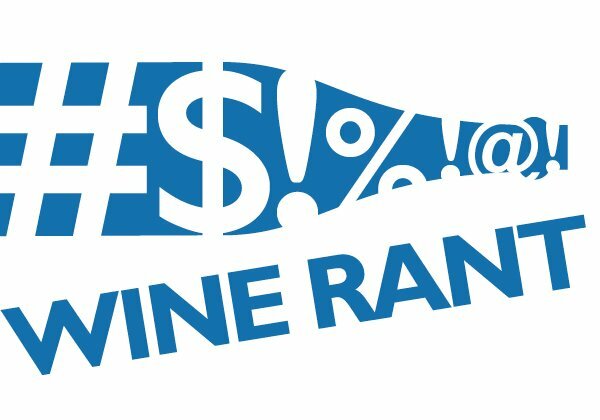 Bring on the wine in a box: The always curious Mike Veseth at The Wine Economist visits Kroger to see if wine in something other than bottles is making any headway. His conclusion? 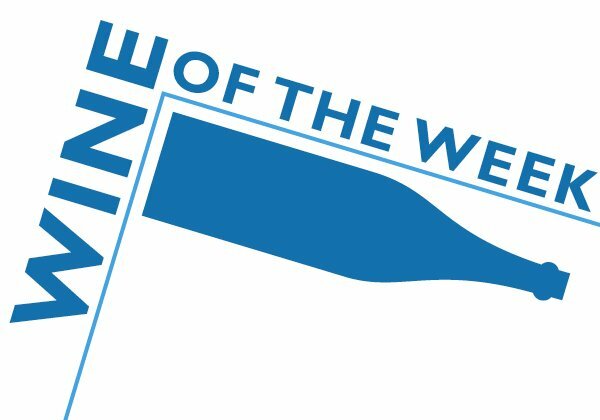 There was an alternative packages section in the wine department, which “makes sense generally, I think, because wine has moved beyond the standard 750-milliliter and 1.5-liter glass bottles to include many other containers. The fact that there is a separate wall of these wines suggests that the customer who comes shopping for alternatives is a bit different from the glass bottle buyer.” In this, Veseth has almost certainly identified one of the biggest — and least understood — changes in the wine business: the growing divide between older and more typical wine drinkers and younger and less traditional wine drinkers.